POLICE believe they have uncovered a Gold Coast branch of a violent Middle Eastern gang notorious for violent drug and weapons wars after a raid on a Labrador property. DLASTHR (The Last Hour), an Assyrian crime gang linked to a number of murders in Sydney, have not previously had a presence in Queensland. Kris Mircevski, 34, who police allege is a member of the gang, walked from court after being charged with more than 30 drugs charges. 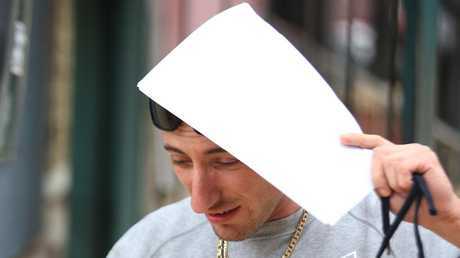 He was granted bail in Southport Magistrates Court despite being placed on a probation order in relation to drugs charges about a fortnight ago. Mircevski covered his face as he left the watch-house. DLASTHR, an offshoot of the Assyrian Kings, rose to prominence in Sydney in the late 1990s and early 2000s and is made up mostly of people whose families came from the Middle East. 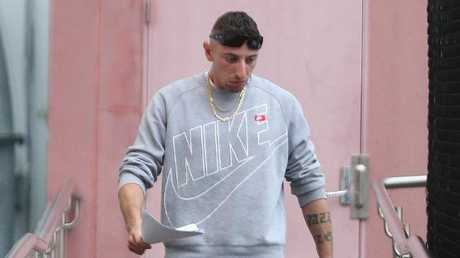 Mircevski appeared briefly in court yesterday facing drugs and weapons charges which police allege arose out of a raid on a Labrador unit on Tuesday. The charges relate to incidents as far back as July. The court heard Mircevski had been placed on a 12 month probation order on March 7 but had failed to report as ordered on Monday. Magistrate Dermot Kehoe granted bail on the condition Mircevski live in his Labrador unit and report to Southport police station three times a week. The matter as adjourned to April 13. A woman has also been charged in relation to the raid and will appear in court on April 6. 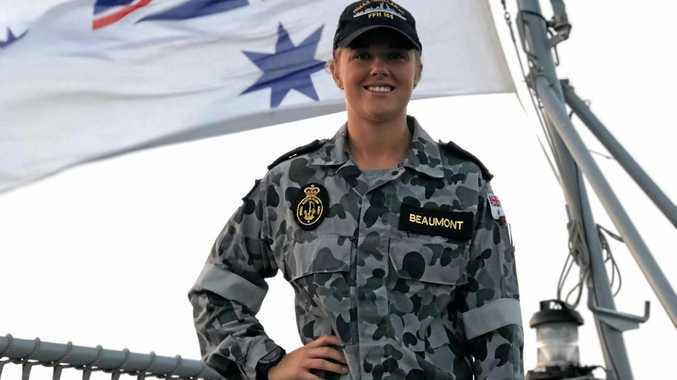 Taskforce Maxima Detective Inspector Phillip Stevens told the Gold Coast Bulletin Mircevski had been on the Gold Coast for "a number of years". "We monitor all gangs on the Gold Coast regardless of who they are," Det Insp Stevens said. "It's not the first time we've encountered this gentleman, he's been on the Gold Coast for a number of years. "He's originally from NSW, we believe." Det Insp Stevens said Mircevski was one of two DLASTHR members that police were aware of on the Gold Coast but there were "many" who visit the Gold Coast. "We had been watching them working on the Gold Coast," he said. "(In southern states) they thought they'd smashed them but I don't know about that. "They're still around but I don't believe they've got a foothold. "It is understood they assist traditional outlaw motorcycle gangs with the distribution of drugs and weapons on the Gold Coast."